But then, there's also these....What do you guys think? 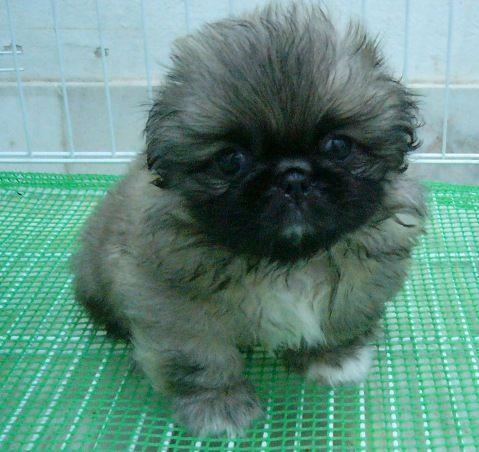 Since I was a child, I've always wanted a pekingese but the opportunity never presented itself. The longing never went away. One day, I will bring you home and spoil you to death!!! Anyway, please don't forget to join my ongoing Thriftshop Girl giveaway! love those black shoes. Don't know if I could walk in them though! i think you should choose the black shoes, they're awesome! LOVE the second pair of shoes and the dog is soooo cute! i prefer the second ones. I love the shoes I have some just like the second pair. Maybe if I decide to breed Kobe then I can give you a Pekingese. Lol. :) They're cute and absolutely adorable!